"Now that I’ve (nearly) finished the pruning and tying up, I sat down and opened my copy of The Grape Press. Imagine my surprise in seeing a photo of my ageing Renault vineyard tractor! It doesn’t really do justice to the effectiveness of my spraying equipment supplied by Micron, however, so I’ve attached a couple of pictures taken today while I was spraying copper at budburst on the vines with the Turbospray system and Roundup on the weeds with the Undavina. You can see how flexible the arrangement is (particularly necessary with GDC trellising), allowing precise targeting of the spray, which, with the controlled droplet application (CDA) technology, means that I use about a third of the chemicals I used to, with very little being lost to the environment. The Undavina allows me to keep the weeds at bay whatever the wind velocity and without risk of spray drift. 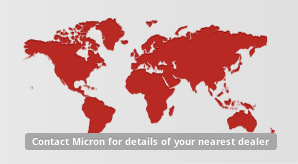 Overall, I can heartily recommend the system and, I have to say, the people at Micron have been absolutely brilliant in helping me resolve problems associated with the idiosyncrasies of my site."